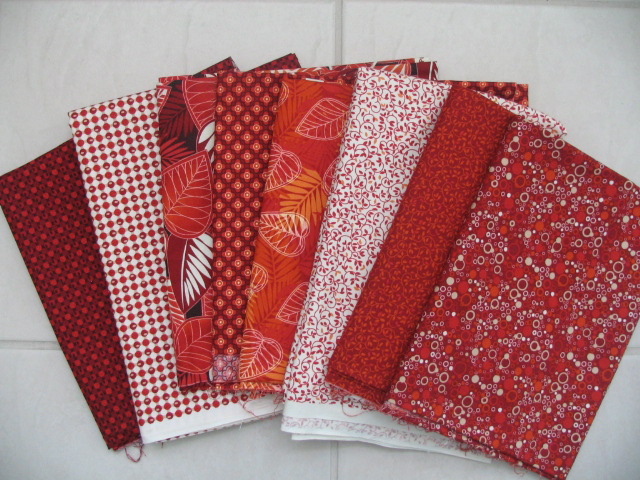 I bought these fabrics a while back with the intention of making a Snake River Log Cabin from Judy Martin’s Log Cabin Quilt Book. 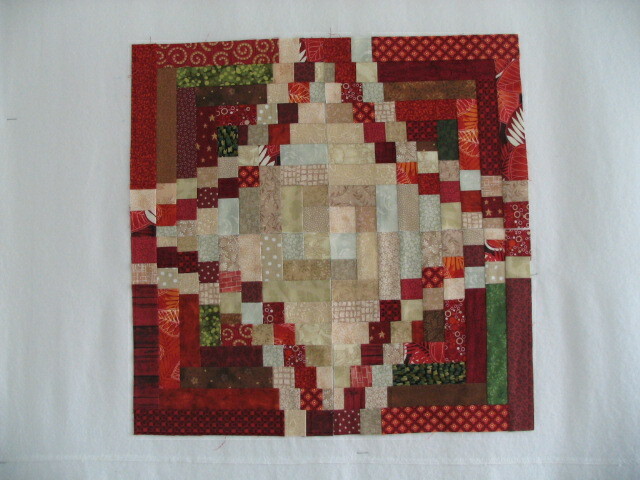 I only made four blocks before I decided this was going to be way too much piecing for me. 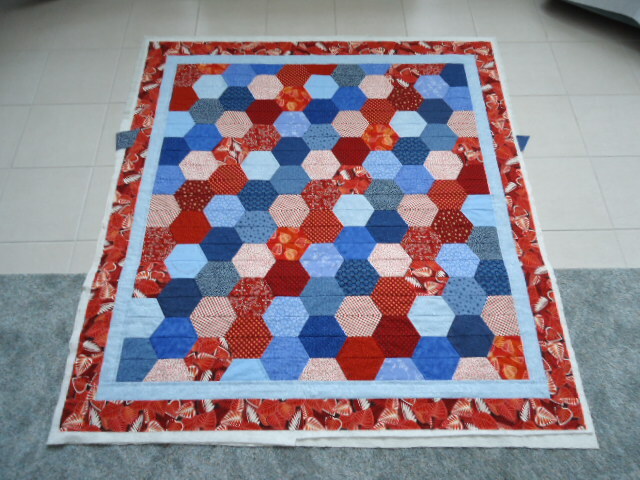 So after I finished the blue, yellow and green half-hexagon quilt I decided to make a red, white and blue one for my cousin who is career military. 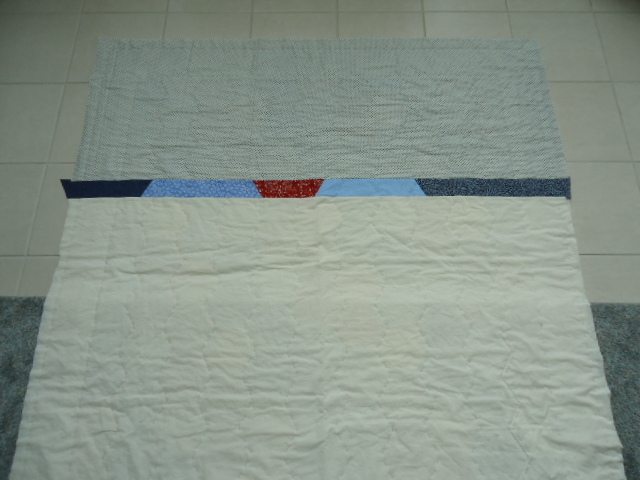 When I started sewing the rows together, I realized the white with red dots would have to be cut on the bias or those seams would stick out like a sore thumb. I started machine quilting it but I was just making a big mess. The batting I am using does not have a scrim so I tried a few stitches of hand quilting which worked OK. My mom said she would finish it. It gives her something productive to do and it is for her nephew after all. Here are front and back of the basted sandwich before it moved to her house. 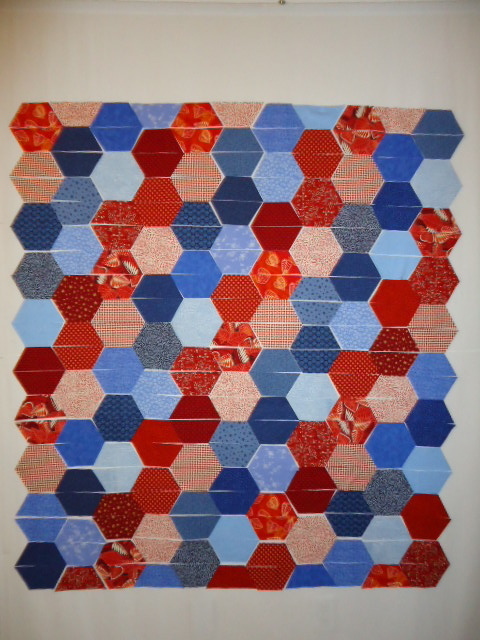 This entry was posted in hexagons, quilting and tagged hexagons, quilting. Bookmark the permalink. Great save! Pretty fabric and a nice result. Oh my you have been busy! Looks great. Those four go cabin blocks are tremendous, but I can see how they could be overwhelming to piece. 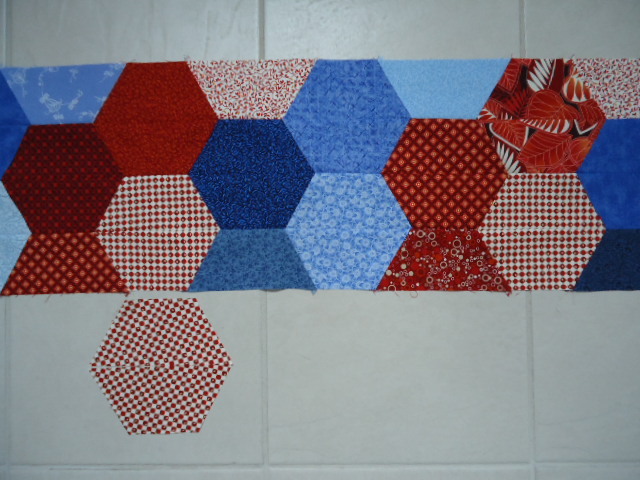 Are you hand or machine piecing the half hexes? The quilt looks wonderful; I’m sure your cousin will love it! You are setting a cracking pace for 2012. 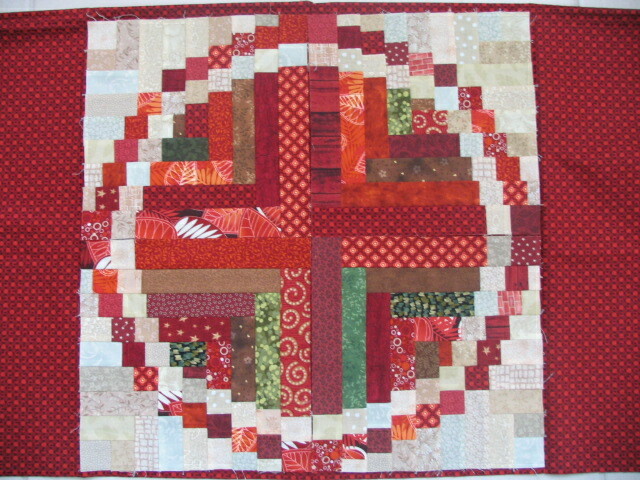 I like the quilt. How big is it? I bet your Mom is hoping you slow down a bit! They look like fun Carol!